In this post we look at some of the best practices in e-commerce imagery for your online store. They’re easy to implement and, more importantly, can exponentially boost your sales. Humans are intrinsically visual. Especially shoppers. They want a 360 degree view of anything they’re going to buy, and images undoubtedly tell more of a story than product descriptions ever could. Think of it as your images are the primary selling point on a product description page. Once they’ve fulfilled their purpose and caught a buyer’s attention, the stellar product description gives them all the small-print they need to finalise their purchase decision. Customers need to be certain of how a product actually looks, in other words you have to create a viable alternative to physically holding and viewing a product in-store. That means no small, fuzzy, or singular pictures. Customers need the ability to zoom in and inspect every inch of a product (well, as much as is possible through a screen). To this end, your images should be the highest possible quality and clarity. This needn’t mean going out to buy the latest digital camera. Many smartphones currently on the market can take incredibly high-quality images with the right lighting and setting. Now let’s get to the best practices of e-commerce imagery that converts. The bottom line is: you can never zoom in too much. Having full zoom functionality means a customer can view an item in the most realistic conditions feasibly possible, allowing them to view the most important details (it’s all in the details!). Our client, clothing retailer Damsel In A Dress, showcases the zoom feature on their product detail pages beautifully, for example by showing both sides of the ruffle detail on this dress. The ability to zoom in on a product shows a potential buyer that you have nothing to hide. After all, shoppers can be incredibly picky, and with good reason given the huge variety of products which is available to them. Imagine you’re in a shop looking for a pair of shoes. When you pick them up, are you going to only look at the front then make your way to the checkout? Nope. You’ll want to view them from all angles, then try them on, and look at them some more. With that process in mind, include images from as many angles as possible to give potential buyers a complete view of the item, letting them inspect it from all perspectives through their screen. Our client, clothing retailer Seasalt, demonstrate this excellently with four high-quality images of these shoes, all from different angles. So, you’ve got your zoom functionality and images from every angle possible, but are those images high-quality? It’s the clarity of the images that unites the previous points, meaning crystal clear images are an essential factor in e-commerce imagery. Clear images allow shoppers to examine even the finest detail on an item, as our client MiPac shows here in an image in which even the fine stitching on the bag is clearly observable. Shoppers expect to be able to view these small details. You know what your products look like inside and out, but your customers don’t, and they need to. Don’t leave anything up to their imagination, especially with clothing, accessories and jewellery, where even the smallest details make all the difference. This one may be less obvious but is just as crucial in e-commerce imagery. Ensure that the settings of your images are in harmony with your brand’s message, design, and lifestyle appeal. Take the previous Seasalt images as an example. By shooting their pics in natural light and against the backdrop of a rustic wall, they effectively promote the brand’s seaside living message. Equally, many images work best on a plain white background. Either way, images’ settings should be absolutely consistent across your site. So if one has a plain white background, make sure they all do. On the other hand, some products work best with images ‘in action’, most notably those of Ikea, whose range largely includes shots of their furniture pieces placed in a home environment. Doing this gives a buyer a sense of space and dimension, making it best-suited to homeware, furniture, and other equipment. Having one or two images, even if they’re very clear, isn’t going to cut it. Aim to include as many different images of your product as possible, because ultimately you can never have too many. A variety of images lets you clearly showcase your products – you’re proud of them, so show them off! This aspect of SEO is often overlooked but should not be neglected. Take advantage of your product images and optimise them for SEO. To do this, you need to be thinking image titles, alt tags, and image attributes, which should be populated for all of your images to ensure maximum on-page optimisation. For example, if your keyword is ‘ladies blue summer dress’, then include it in the above fields, just make sure that it’s really what the image shows or you could end up inducing a negative rather than positive affect. Take a look at Yoast’s in-depth guide to optimising your images for search engines here. 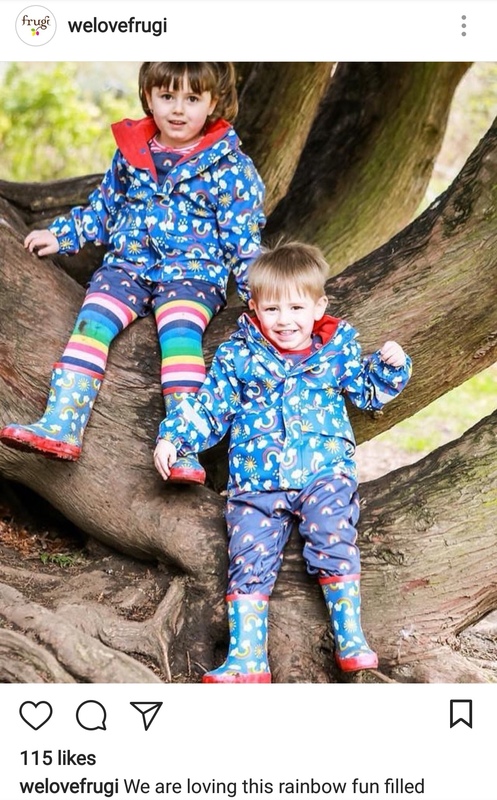 Share these images on social media, like our client Frugi has done below, but also include them on your website. Perhaps place them at the bottom of a product detail page to show how customers have worn or used your items. This provides potential shoppers with inspiration and boosts their confidence when making a purchase. Fantastic e-commerce imagery is a surefire way to increase your buyers’ trust and drive sales. Having a variety of high quality images on all of your product description pages conveys all aspects of an item, making imagery a highly effective selling tool. Moreover, images which can recreate the process of physically examining a product (or as close as is possible) will arguably reduce return rates. How many times have you had to return something because it “didn’t look like this on the model”? It makes sense. We’re experts in creating stunning e-commerce websites for displaying your brand in the best possible way. Get in touch with us today to find out more.